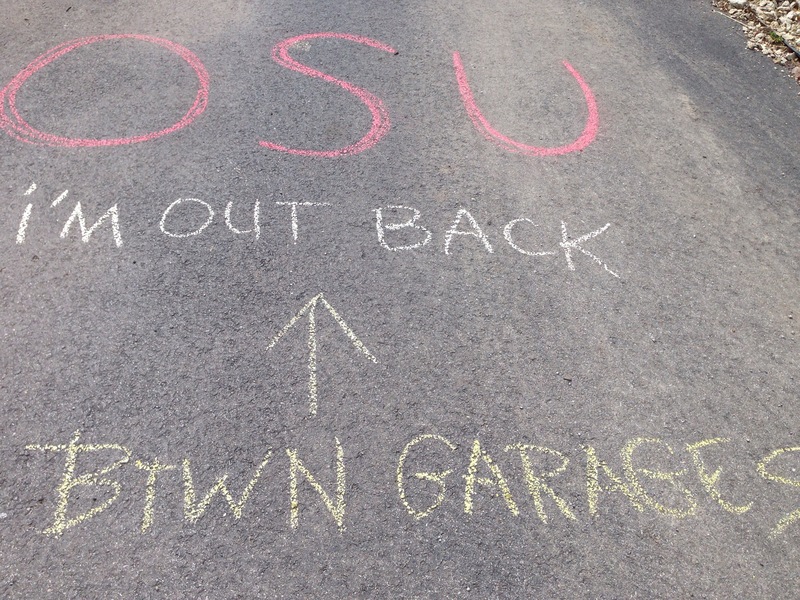 This afternoon I hosted half a dozen OSU students and their friends for some hands-on learning. I had visited and spoke with them last month during a Rural Sociology course at Ohio State they are enrolled in called “Population, Place, Environment.” My article, “Art Education in My Backyard: Urban Placemaking on an Urban Farm,” was included on their syllabus. Most are majoring in a multi-disciplinary degree program,”Environment, Economy, Development, and Sustainability.” I’m still trying to figure out what all this means, but it was great hanging out with them and hearing about their interests and academic pursuits. 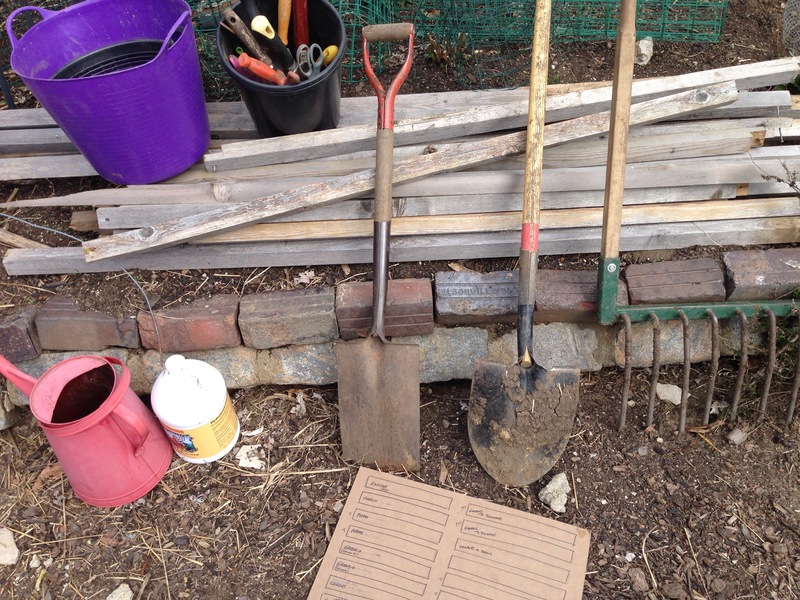 Sarah is conducting a survey of people who live in the vicinity of urban farms in Columbus. Joachim was recently appointed a parcel of land to garden through the city’s land bank. Molly has been working for clean energy solutions. Laura is interning with OEFFA. It took me a little longer than usual to get things ready for the workday since we are still unpacking from the off season. With a little effort, I got the workspace opened up and found the tools we’d need. Thelma and her friend Laurel arrived first, eager to get to work. 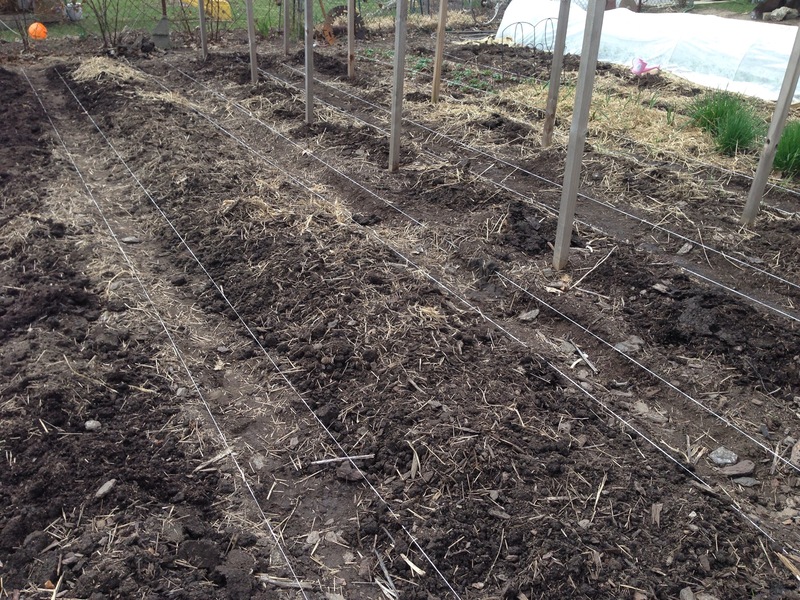 I saddled them with resizing the last beds on the west side. This wasn’t easy as things have been out of wack from the start. They got things marked off and moved soil around to get the beds back in line. 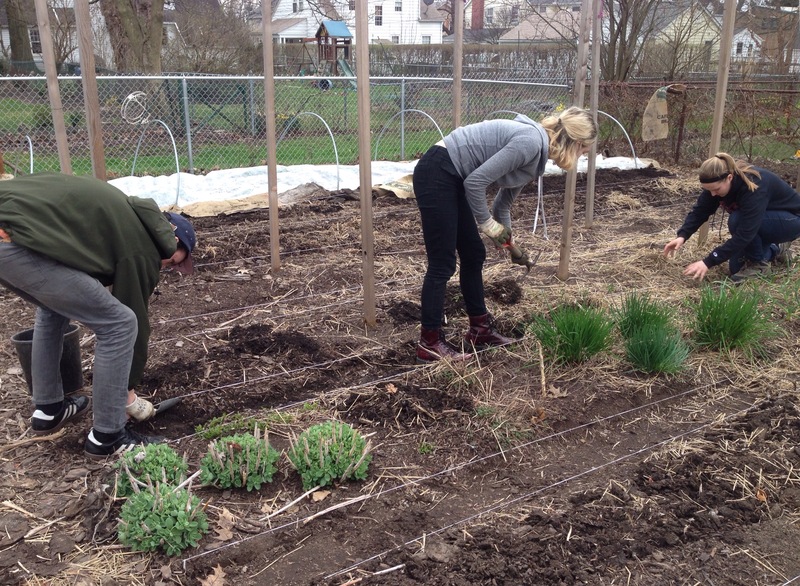 Then George, Sarah, Alayna and her friend worked on reestablishing the walking paths between the beds. 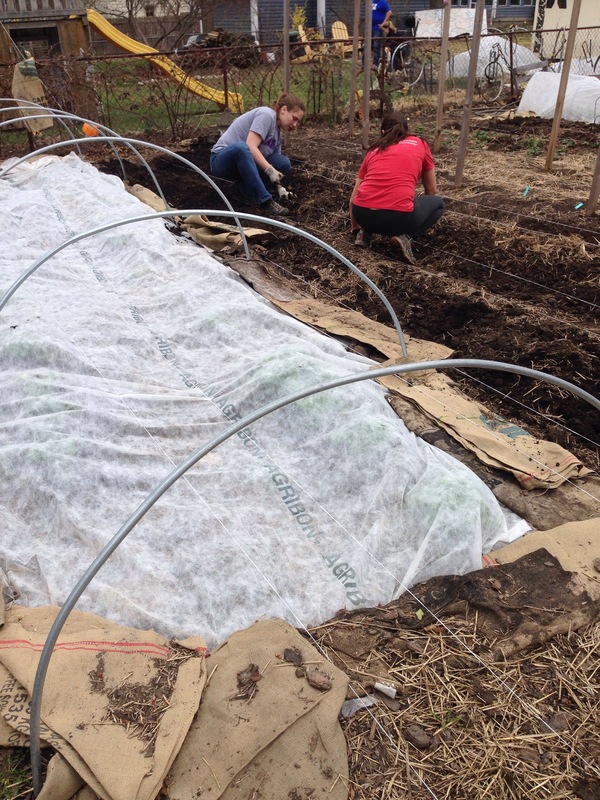 On the other side of the farm, Laura, Molly, and Joachim worked on the garlic beds. They removed the straw that was set in the fall, counted the plants, fertilized, and recovered them with a new blanket of straw. It was a great afternoon – relaxed place, productive energy, engaging conversation – and I lamented the fact that there are only a few weeks left of the term, leaving us little opportunity for additional time together. A number of the students are graduating this spring and I feared that coming to the farm today might not have been well-timed. On the contrary, they reported that garden therapy was just what they needed. Since I’ve been grading my own students’ papers night and day with no end in site, it was just what I needed too. Categories: Garden Therapy, Scenes from the Field | Tags: Columbus Urban Farming, Garden Therapy, Hands-on Learning, OSU Environment, Economy, Development, and Sustainability, OSU Population, Place, Environment, OSU Rural Sociology, Service Learning, Urban Farming | Permalink.